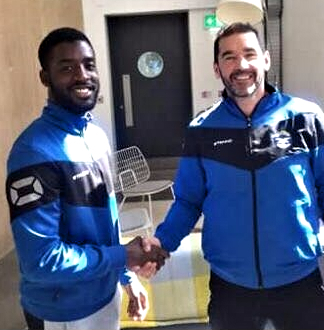 It's deadline day and Bangor are pleased to welcome striker Abby Sanusi to the club. Abby has had spells with Shamrock Rovers, Dungannon Swifts and more recently Knockbreda. Bangor supporters may recall Abby's spectacular goal for Carrick Rangers against us at Taylors Avenue a few seasons ago. Welcome to the club Abby! We can also confirm that midfielder Nathan Spiers has opted to join Sirocco Works. We wish Nathan well on his move. Tonight, we are pleased to confirm that Hugh Sinclair has added another player to the Seasiders squad. We welcome American midfielder CJ Moore (pictured left) to the club. Bangor's 3rd Round Steel & Sons Cup fixture against Cliftonville Olympic will be played at Solitude on Friday, 8th September with a 7:45pm kick off. Hugh Sinclair continues to work hard in the final days of the transfer window and tonight we are pleased to confirm that both Mark Magennis and Sammy Devine have joined Bangor. Midfield maestro Mark returns to Bangor from East Belfast, while the former Ards & Welders midfielder Sammy Devine joins us from Knockbreda. We can also confirm that striker Robert Robinson, who had featured for the Seasiders in pre-season has now moved on to Albert Foundry. We wish him all the very best. 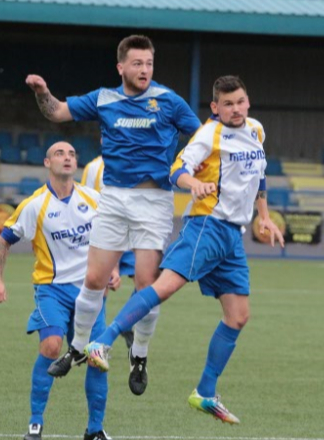 We are pleased to confirm that winger Gerard McMullan has completed a move from Donegal Celtic to Bangor. Gerard will be available for Saturday's League game against Ballynure OB, but will be unavailable for Steel & Sons Cup matches as he is cup-tied. Welcome back to Bangor Ger! BANGOR 9 (NINE)-0 KILMORE REC. Bangor progressed comfortably into the next round of the Steel & Sons Cup with a 9-0 win over Kilmore Rec at the Bangor Fuels Arena this afternoon. Jack Wasson opened the scoring after 4 minutes with a somewhat fortunate looping effort. Dale Patton and the returning Ethan Boylan followed up with goals number 2 and 3 before the 20 minute mark. Five minutes before half-time, defender Chris Getty fired one into the top corner from wide on the right to make it 4-0. Dwaine Beattie and Dale Patton both found the net with speculative strikes just before half-time to make it 6-0 at the break. Bangor had to wait until the 75th minute for their next goal when Kyle Woods tapped in a rebound from a Keith Armstrong shot from distance. Captain Andy Long's 40 yard cross (definitely a cross) from wide on the right somehow found the back of the net to make it 8-0 and Jordan Lucas completed the scoring in the 89th minute when he broke the offside trap to slide the ball past the advancing Kilmore keeper. We are pleased to announce that 21 year old midfielder Nathan Spiers has joined the Seasiders from 1st Bangor. Welcome to the club Nathan! 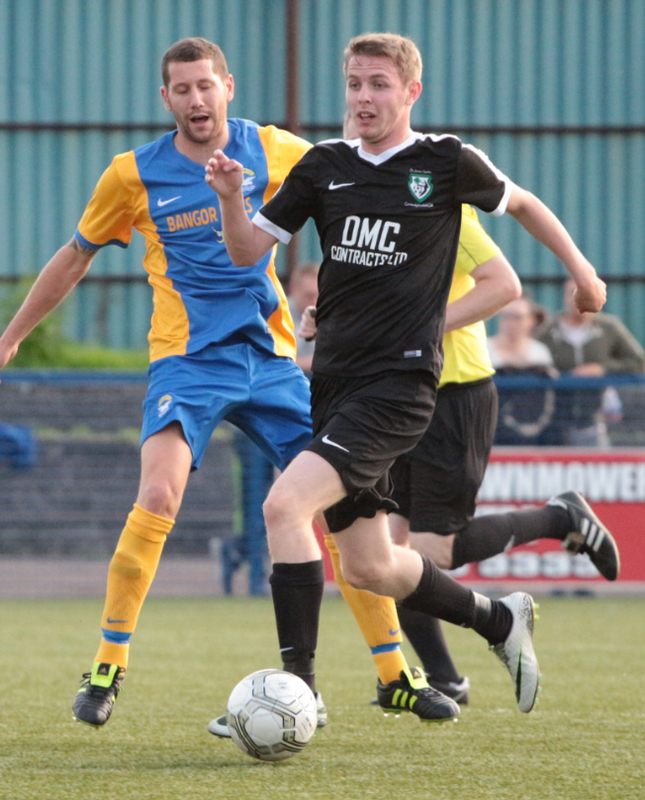 Meanwhile, we wish defender Scott Woods all the very best as he has departed for Shankill United. 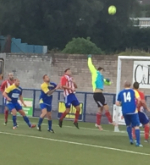 Bangor suffered a second defeat of the week this evening, going down 2-1 in a closely fought contest with St. James Swifts at the Bangor Fuels Arena. Michael McClean gave the Seasiders the lead in the 20th minute with a powerful header, but a deflected Eugene Gallagher strike on 44' saw the teams go in level at the break. The game looked to be heading for a draw until the 84th minute when Jack Wasson's strong challenge richocheted back off Padraig McCormick and into the Bangor net. Bangor forced a series of corners and pushed hard for an equalizer in the closing minutes, but could not find a way past Maybin in the Swifts goal. Another disappointing result for the Seasiders. OTHER BAPL RESULTS: Glebe Rangers 1-0 Dunloy, Ballynure OB 1-3 Brantwood, Cookstown Royal British Legion 2-1 Sofia Farm. 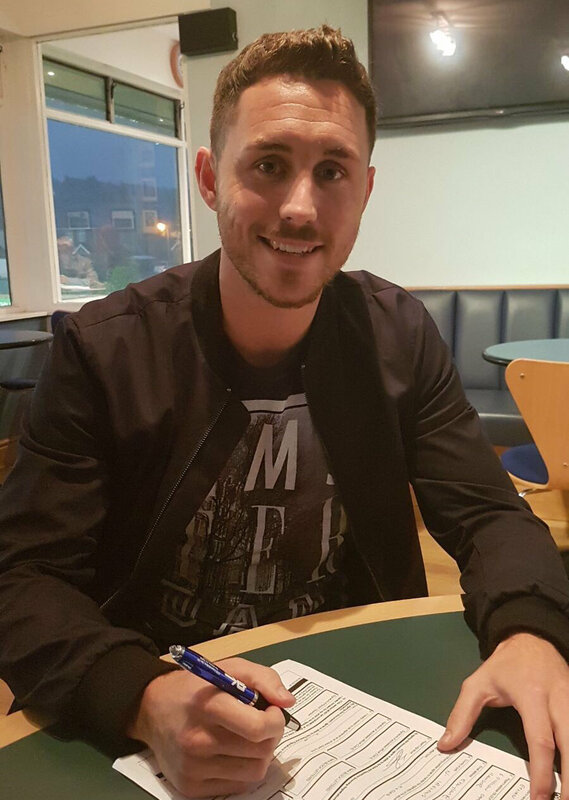 We are delighted to confirm that striker Ethan Boylan has re-joined the club from H & W Welders. Ethan netted 32 times in his previous two and a half seasons at the Bangor Fuels Arena before departing for the Welders in January 2016. Also making a very welcome and swift return to the Seasiders today is winger Jordan Lucas. Don't forget that Bangor are back in action tonight when St. James Swifts make their first ever appearance at the Bangor Fuels Arena. Tonight's match has been kindly sponsored by The Solar Panel Company NI Ltd. Kick Off time is 7:45pm. The Seasiders crashed out of the Irish Cup in disappointing fashion this afternoon, going down 2-0 to Glebe Rangers at a blustery Riada Stadium. Glebe went ahead with a 12th minute penalty and later secured their win with a drilled free-kick that went under the Bangor wall. Bangor's best chances fell to Niall Atkinson, who was denied twice by excellent stops from the Glebe keeper in the first half. 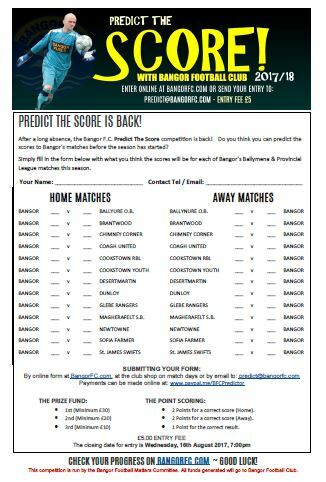 Thanks to everyone who entered Predict The Score - the first Bangor Football Matters competition of 2017/18. We had a brilliant response, with 47 entries received. As a result the top prize now stands at £60. We will keep you updated throughout the season as the competition progresses. The first league table and predictions for next game will be published in time for our next game against St. James Swifts. Tonight, we are pleased to announce that 23 year old defender Karl Rossborough has joined the Seasiders from Premier Intermediate League club Donegal Celtic. A last gasp goal from substitute Michael Edgar salvaged a point the Seasiders at the Bangor Fuels Arena tonight. Kyle Woods headed Bangor into the lead after 15 minutes, but Curtis Dempster's curling free-kick levelled it for Brantwood on 21'. 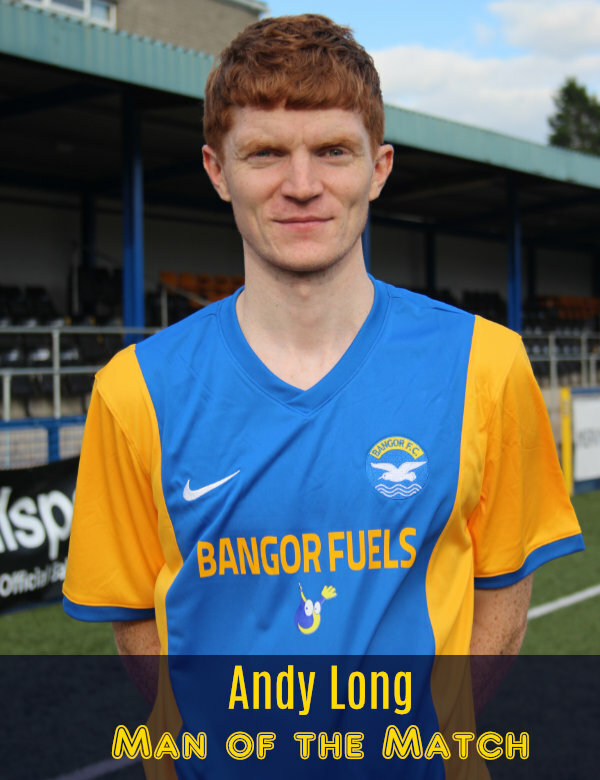 The second half was barely a minute old when Bangor captain Andy Long was dismissed for a second yellow card. Even with 10 men, Bangor dominated much of the play, but were caught out in the 80th minute when Ross Cowan delicately lobbed Darren Gibbons to put Brantwood ahead. With five minutes to go, Darren Gibbons saved a Dempster spot kick, and minutes later Bangor were reduced to 9 men when Keith Armstrong was given his marching orders. With just nine men on the pitch, Bangor rallied and substitute Michael Edgar nodded home the leveller in the 90th minute. Hugh Sinclair has today added experienced defender Chris Getty to his squad. The former Ballyclare Comrades & Glebe Rangers centre-back also had a spell with the Seasiders under Marty Quinn. Chris will be available to face his former club Glebe Rangers in the Irish Cup on Saturday. Next week's midweek fixture against St. James Swifts has been switched to the Bangor Fuels Arena. Kick-off time 7:45pm. Bangor edged through to the next round of the Toal's Steel & Sons Cup this afternoon, defeating Donegal Celtic 5-3 in a penalty shootout. Keith Armstrong was the hero of the day as he blasted Bangor into an 18th minute lead with a superb 25 yard strike. Bangor were reduced to 10 men early in the second half when Eddie Williamson was given his marching orders. Declan Monaghan then levelled it for D.C. on 57 minutes. It was 1-1 after 90 minutes, and no further scoring in extra time, the game game ended with a dramatic penalty shootout. A single miss from D.C. was enough to secure Bangor's progression into the next round. Niall Atkinson, Andy Long, Johnny Bowers, Dale Patton and Keith Armstrong all converted their spot kicks. Brantwood 3-4 Sofia Farm, Cookstown Youth 1-2 Newtowne, Cookstown RBL 0-7 Coagh United, Glebe Rangers 3-2 Desertmartin. The new season kicks off at 2:30pm today when Bangor host Donegal Celtic in the Toals Steel & Sons Cup at the Bangor Fuels Arena. (Please note the earlier kick off time). Admission prices are £5 Adult, £3 Concession, Under-16's are free with a paying adult. Season ticket holders get an additional discount on admission. The club shop will be open,so don't forget to bring along your Predict The Score entry, as the closing date is Wednesday. More information HERE. The new season kicks off on Saturday and tonight we are pleased to unveil the new Bangor FC home kit for season 2017/18. 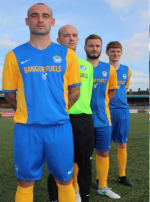 The Bangor Fuels sponsored Nike home kit marks a return to the club colours of old. We are also pleased to announce that replica kits will soon be available from a soon to be opened online club shop. 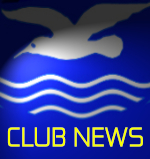 The Clandeboye Bangor Supporters Club AGM takes place on Saturday (12th) in the Bangor FC Social Club at 1:00pm. All existing members should attend. New members will be made very welcome, so please feel free to come along. Bangor are pleased to announce the signing of three players. 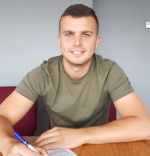 Dale Patton (Striker), who was with the club last season returns to the Seasiders, as does goalkeeper Connor Couston who was last with us under Eric Halliday. Also signing for Bangor is midfielder Jack Wasson. Jack joins us from Amateur League side Woodvale. Shirt sponsorship is available for all three players. Contact sponsor@bangorfc.com for further information. Bangor finished their pre-season fixtures with a disappointing 3-1 defeat to Balywalter Rec. at Davidson Park this afternoon. 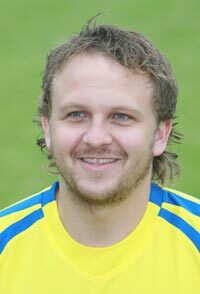 Neil Graham scored the only goal for Bangor on a frustrating afternoon when The Seasiders rarely found their stride. We are pleased to confirm that the following players have agreed terms for the new season: Scott Woods (Defender), Dean Justin (Defender), Charley Emerson (Striker), Dillon Turnbull (Midfield) and Liam Conlon (Striker). Scott, Charley and Dillon are all now available for player sponsorship on a first come,first served basis! Contact sponsor@bangorfc.com for further information. 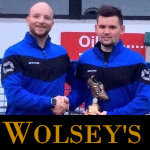 Congratulations to Dean Justin, who has been voted the Wolsey's Player of the Month for July by the Bangor Management Team. Bangor have been drawn to play Glebe Rangers in the First Round of the Irish Cup. The tie will be played on Saturday, 19th August at the Riada Stadium, Ballymoney. Kick off time has yet to be confirmed. A Bangor side that featured several new faces drew 1-1 with Albert Foundry at the Bangor Fuels Arena this evening. Johnny Bowers put the Seasiders ahead after 33 minutes with a tidy 20 yard free-kick that went in off the woodwork. Six minutes later, Foundry striker John Martin teed up Marcus Beattie for a tap in to level it.